“Premiere für die Gesundheitsmesse KroneFit: Gemeinsam mit dem Land Steiermark, dem Steirischen Hochschulraum, der Medizinischen Universität Graz und zahlreichen Partnern des Gesundheitswesens veranstaltet die Kronenzeitung Steiermark erstmals die Gesundheitsmesse KroneFit am 5. und 6. Mai 2017 in der Halle A auf der Grazer Messe. The project RegionAAL as well as the project partners were represented with stands and lectures and brought the ideas and projects closer to the interested audience. Perhaps it was even possible to win new participants for the large field trial. At the end of April, the equipment for the test households was delivered and stored for the intensive phase of the installation and configuration in Graz. 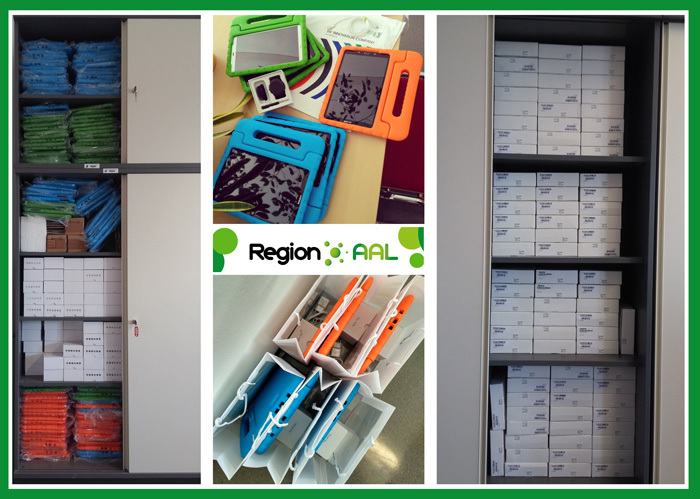 The many tablets, smartwatches, cases, memory cards and smaller accessories now await in their safe storage, to be brought to the test houses (together with the automatic stove safety switch and the light installation) for the study phase. For pre-tests and the training of the caregivers, some sets have already been completed and handed over. Project partner Elektrotechnik Resch commits the 25th anniversary in 2017 and invited to the 5th “Hausmesse” (open house), where the extensive product and service portfolio was presented to approximately 100 interested guests. The presentation of the company with its wide range of services (electrical engineering and installations, energy and photovoltaics, security technology, computer and network technology, lighting technology, specialist trade and service as well as MIELE cooking demonstrations called “Abende der Sinne”) , was followed by a presentation of the project RegionAAL, as well as a tribute to long-term employees. 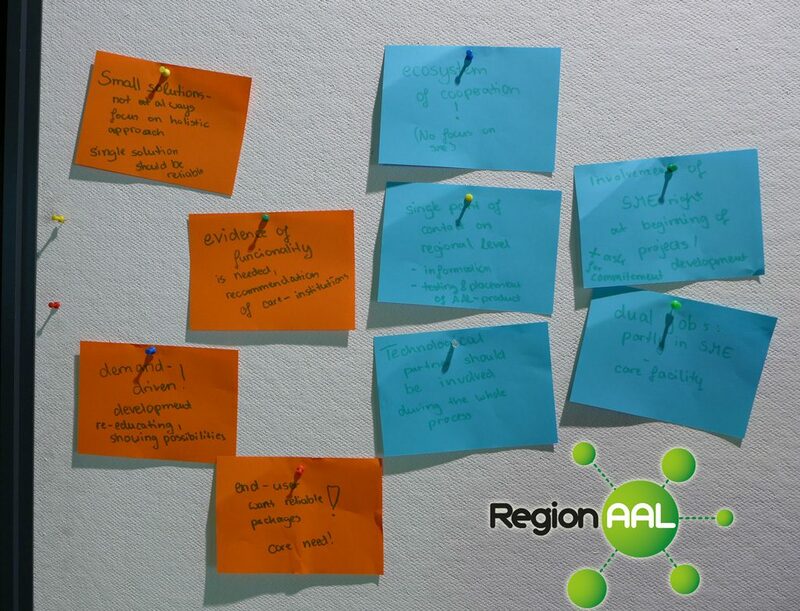 Coordinator Kurt Majcen has organized and chaired the workshop “How can regions get AAL operational?” for the AAL Forum 2016 in St. Gallen (Switzerland). Is it still a matter of technology? What is missing? How can (economically driven) bottom-up approaches look like? What are the stimulators? How can we achieve representative samples in piloting projects and who is going to pay for that? 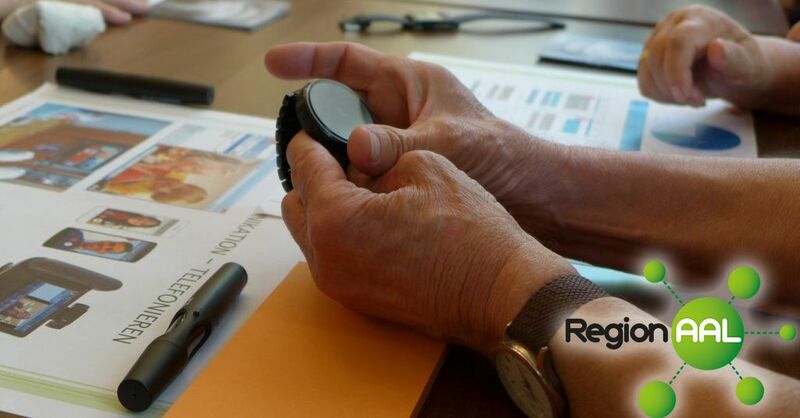 Kurt Majcen, coordinator of RegionAAL, was again invited to deliver a session at Graz University about Active and Assisted Living (AAL) as part of the course “Interdisziplinäre Ringvorlesung Alter(n)“. 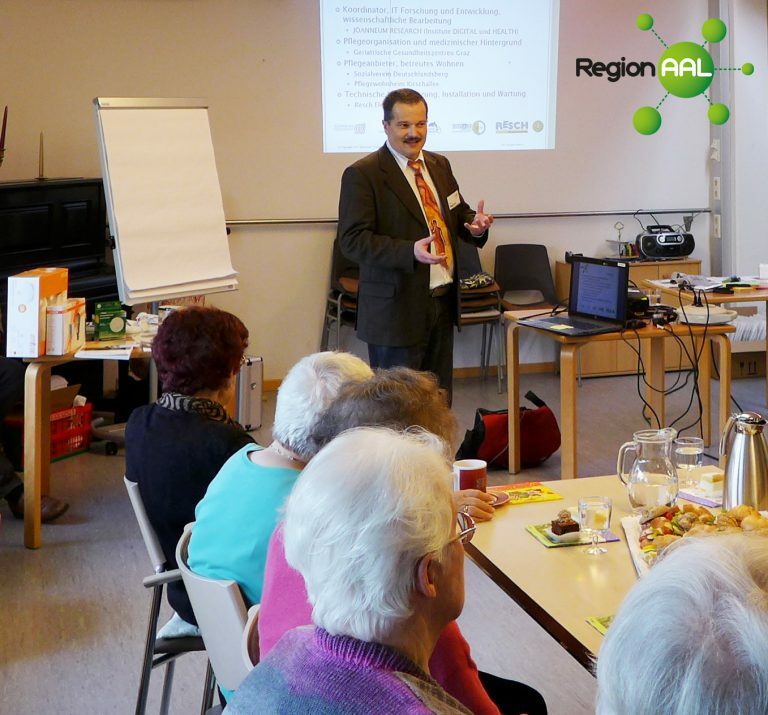 On June 14th 2016 he presented the topics of AAL and RegionAAL to an interested audience. 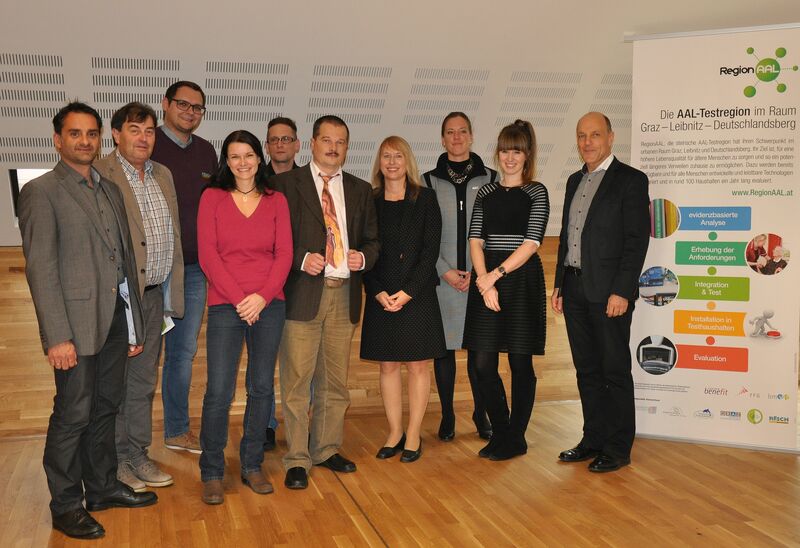 The title of the lecture was “RegionAAL – the AAL testregion in Styria”. A lively discussion of a really wide range of topics (e.g. expected interest of older adults in the new technologies, motivation opportunities in the recruitment process for both the test and the control group, user interfaces today and in the future) followed the presentation. This brought forth new ideas and practical considerations for both the listeners and the lecturer. The party of engaged students was quite limited this time. This was probably due to the parallel event of the Austrian football team playing in the Euro 2016 and the inclement weather. All represented regions told about their different experiences. The deviations between the regions were used as starting points for discussions. Especially the discussion about lifestyle brought new ideas concerning the value chain. 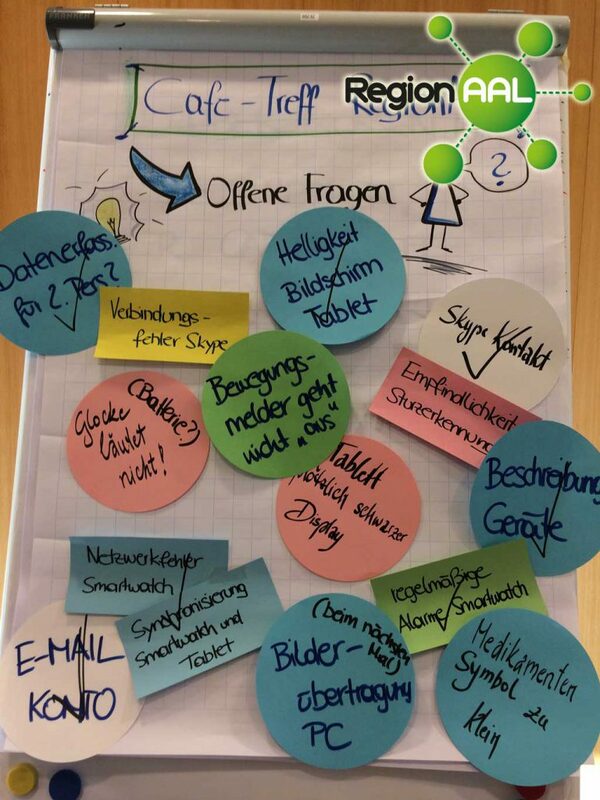 Another hot topic was the recruiting process and problems that were encountered at the various stages including how to motivate people for the control groups (and keep them motivated throughout the project life cycle). The discussion proved valuable for all participants as ideas and possible solutions were exchanged. The first part of the project explored for which technologies is evidence on effectiveness and acceptance in our potential user group already available. For some of these issues, existing products were gathered which support the elderly. However, we wanted to find out what our potential users say to the application of such existing technologies. 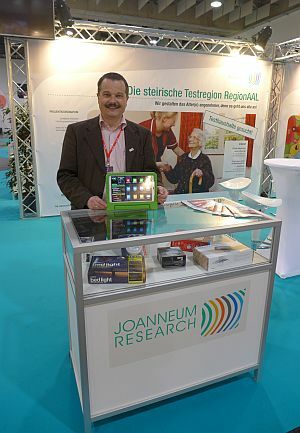 Exemplary technologies were therefore presented in two workshops at our partners in Kirschallee and Geriatric Health Center Graz – partly in the form of pictures and partly as real products which the interested participants could take into their hands and closely observe. What do you find good in the presented devices and facilities? Do you have any concerns about the presented devices and facilities? Can you imagine wearing such devices in everyday life, or using them in your apartment? We were obviously also asked when the testing will start and how to participate. At this point, we had to somewhat disappoint the participants because things are still under preparation.